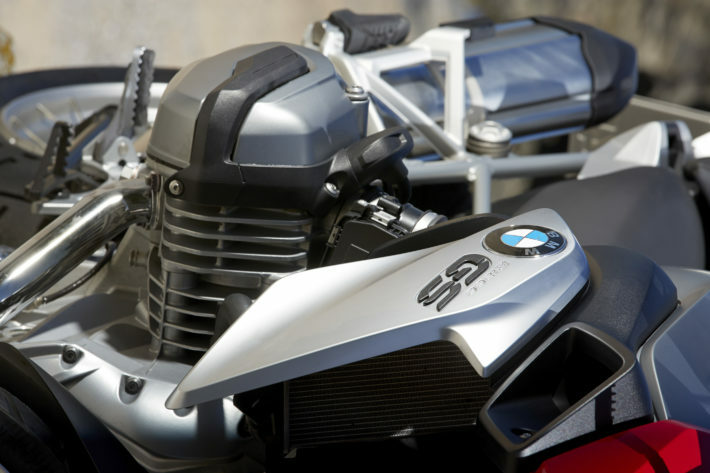 Motorcycle engines come in many different shapes, sizes and configurations, by which we mean the number of cylinders and their particular layout. Relative to cars, motorcycles are small and (with a few exceptions) don’t weigh a great deal, so they neither need nor want big engines – and by big we mean both physical size and cubic capacity. So while car engines start from around 1000cc, common engine capacities for bikes range from 50cc for mopeds, through to 125cc for learner bikes and scooters and all the way up to 1600cc – and beyond, if you take Triumph’s gloriously ridiculous 2,294cc Rocket III into account. As a rule of thumb, more cylinders equals more revs per minute which equals more horsepower – although it’s not necessarily that simple in practice. As another rule of thumb – but again it’s a rule that’s very much to be broken – the bigger the engine’s capacity, the greater the number of cylinders it will have. By looking at an engine’s capacity and its configuration, you can get an idea of how much power it will make and how that power will be delivered – which defines the so-called ‘character’ both of the engine and the bike itself. If the whole engine configuration thing is a bit of a mystery to you, then think of a normal, pedal-powered bicycle: it is, in effect, a two-cylinder engine, with its cylinders side by side – what we would call a parallel twin. Your legs are the pistons moving up and down, the crank and bottom bracket are the crankshaft assembly and your own muscle power takes the place of the internal combustion side of things. If you imagine, say, taking one leg out of the equation, or perhaps adding one or two more, then we’re changing the configuration. So what are the different engine configurations used in motorcycles, and how do they affect the way it performs? These days the single-cylinder layout is the preserve of smaller-capacity engines, such as those used in 50cc mopeds and 125cc scooters, commuters and learner bikes. Big power outputs and high top speeds aren’t a requirement (in fact, licence regulations specifically rule them out), so a small-capacity single-cylinder engine is all that’s required. Bigger-capacity singles can be found in new machines such as Honda’s 286cc CB300R, but the days of 600cc-plus single cylinder bikes, such as Yamaha’s XT660 Ténéré, are now over, due to them falling foul of strict Euro 4 emissions rules. Big singles, sometimes referred to as ‘thumpers’, are still available second-hand, of course, and they can be ideal for riders with longer urban commutes. Their punchy engines deliver lots of low-rev torque and are excellent around town, although they can feel a little out of breath on motorways and longer journeys. Just like our bicycle analogy earlier, a parallel twin-cylinder engine has two pistons working side by side. 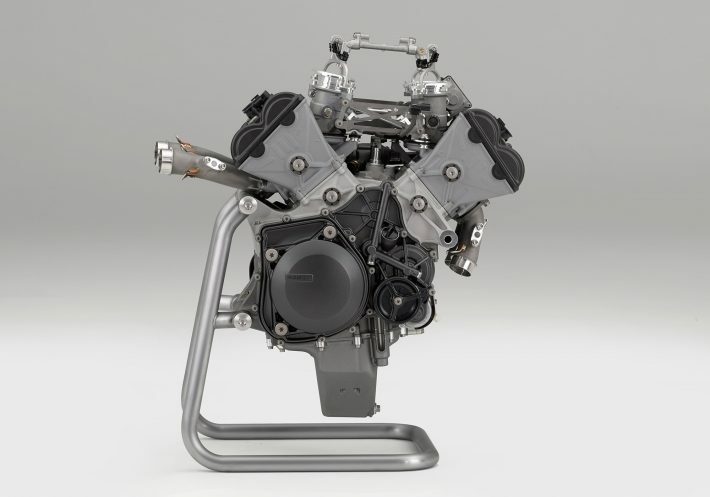 It’s a very common engine layout for middleweight bikes of 500-800cc and offers a great performance compromise, producing decent power from a relatively small and light package. 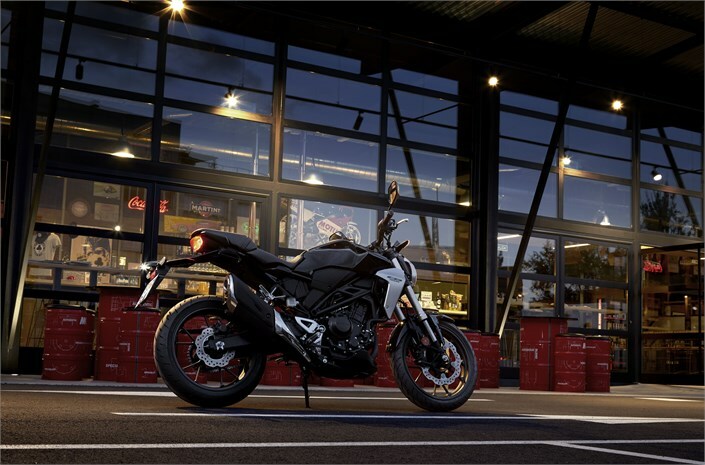 Yamaha’s MT-07, for example, makes 74bhp at 9000rpm from its 689cc parallel twin-cylinder engine, while BMW’s F 800 R makes 89bhp from its 800cc twin. The V-twin is a slightly different kettle of fish to the parallel twin. Instead of two pistons working side by side, the cylinders sit one in front of the other, splayed out in a ‘V’ shape, hence the name. This makes the V-twin very narrow, which has its advantages, but it also makes the engine longer, which has its disadvantages. The V-twin makes its power in a slightly different way to the parallel twin, because its pistons act on the crankshaft in a different way (both pistons share a crank pin rather than having one each, so in some respects the V-twin is akin to a single-cylinder engine with its cylinder split into two). 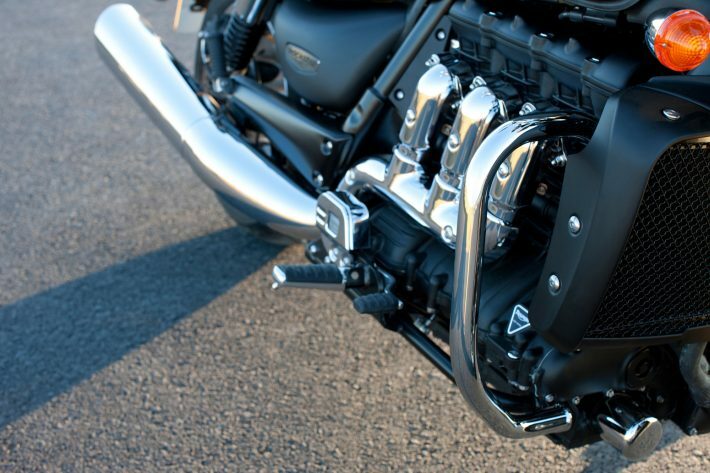 As a result, a V-twin will feel punchier than a parallel twin lower down the rev range. V-twins are common in custom and cruiser-style motorcycles – think Harley-Davidson, for example – but they have also become synonymous with Ducati and its range of V-twin-engined superbikes that dominated the World Superbike championship from 1990 through to the early 2010s. Another twin-cylinder layout, and this time one that occupies a lone furrow ploughed by one manufacturer in particular: BMW. The horizontally opposed – also known as a ‘flat’ or ‘boxer’ – engine has its cylinders sticking out of opposite sides of the engine, with the crankshaft running lengthways – or longitudinally – along the centreline of the bike. This comes with several disadvantages – it makes the bike very wide and the longitudinal crank causes a torque reaction that makes the whole machine move from side to side when you blip the throttle. But the weight is kept low, the engine is punchy and torquey and the crankshaft runs in line with the shaft drive to the rear wheel (which all of BMW’s ‘boxer’ models have), which makes for easier engineering. They’re also great fun to ride – and BMW has sold legions of the things over the past few decades, so they must be doing something right. The firm’s massively popular R 1200 GS adventure tourer is a case in point. 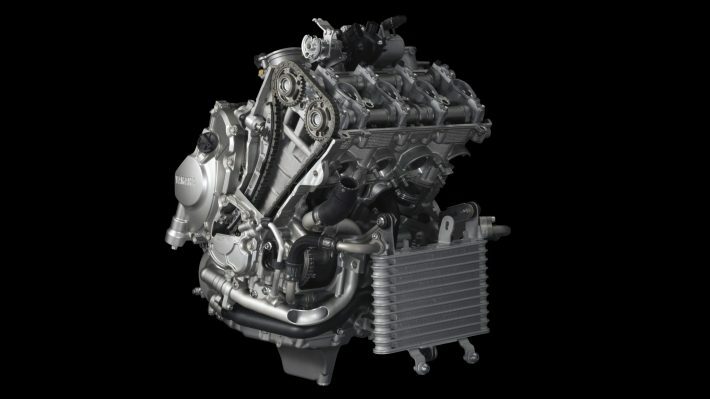 The inline three-cylinder engine, or triple, was popularised in the modern era by Triumph but has latterly been adopted by Yamaha for some of its models. As the name suggests, the layout consists of three cylinders side by side, like a parallel twin with an extra cylinder added or, to continue the pedal-power analogy, a bicycle built for someone with three legs. 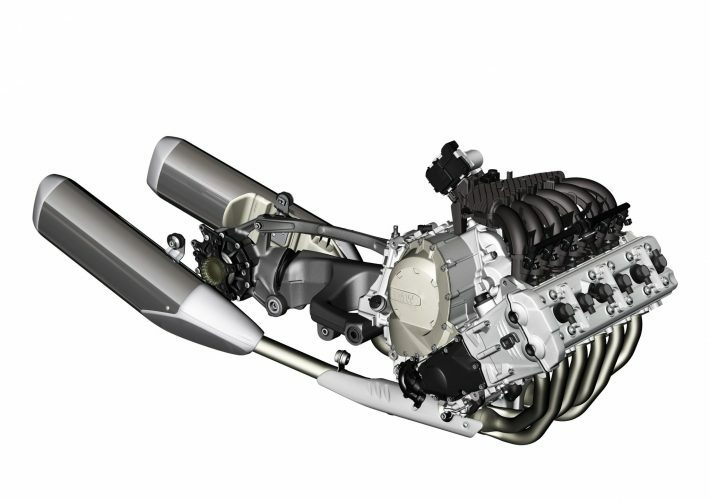 In some respects the three-cylinder answer is an ideal solution for a bike, blending the twin-cylinder engine’s low-down punch with the higher-revving power of a four-cylinder motor. 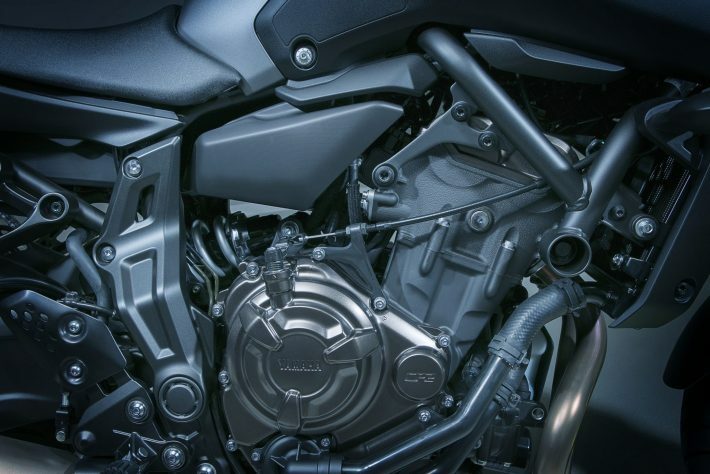 Among others, Yamaha’s MT-09 and MT-10 use three-cylinder engines, as does much of Triumph’s range. In fact, the largest-capacity production motorcycle on sale, Triumph’s 2.3-litre Rocket III, uses, as its name suggests, a three-cylinder engine. The inline four was for many years the default performance motorcycle engine layout, and certainly the one to which the big four Japanese manufacturers defaulted. In case you hadn’t guessed by now, the inline four has four cylinders side by side. Want another pedal-powered analogy? Think of a pedalo, powered by two people sitting side by side and with all four pedals sharing a common crankshaft. By using four cylinders, manufacturers could squeeze a relatively large-capacity engine into a pretty small space and still leave enough space to make easy access for maintenance. Four-cylinder engines tend to be extremely smooth, and their small and light internal parts allow them to spin to high revs, which in turn means lots of horsepower. The once cut-throat supersport 600 class was powered by inline four-cylinder engines that revved to 16,000rpm and beyond, and today it remains the engine of choice for 1000cc superbikes and other hypersport machines. Think Honda CBR1000RR Fireblade, Yamaha R1, Suzuki GSX-R1000 and BMW S 1000 RR. This is one for the tech lovers. Think two V-twins side by side, or, er, a very bizarre two-person bicycle with the riders facing each other and sharing one pair of pedals between them. 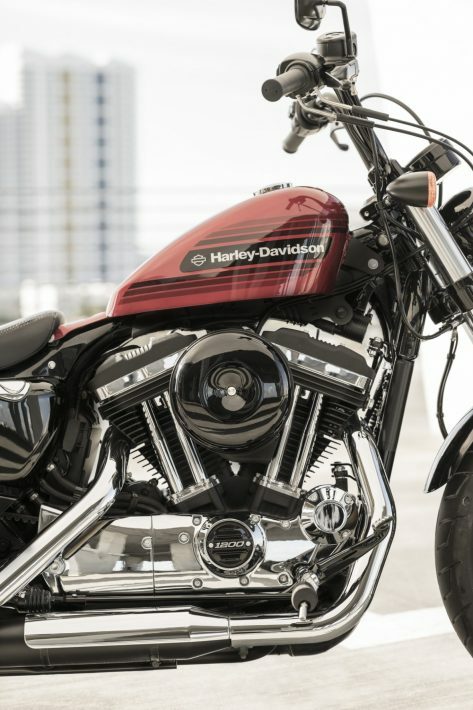 The V4 is, to some, the Holy Grail of bike engines: it’s small and compact, mixing the performance characteristics of a V-twin with the high-revving top-end horsepower of an inline four. But they’re expensive to make and fiendishly complicated to work on, so they never really caught on as they might. The inline six is currently the preserve of BMW. The German company uses a 1600cc inline six-cylinder engine in its K 1600 tourers, where it provides silkily smooth and free-revving horsepower – which it needs in order to propel up to 560kg of bike, rider, pillion and luggage across continents without breaking a sweat. Another niche one this, and again the sole preserve of one manufacturer, this time Honda, and again it finds its home in an enormous tourer: the Gold Wing. The current Gold Wing uses an 1800cc flat six engine, which means it has two sets, or banks, of three cylinders, with a bank protruding from each side of the machine and the crankshaft running longitudinally, which in turn facilitates the shaft drive to the rear wheel.